Identifiers have always been essential standards in libraries and publishing. Content identifiers, such as the ISBN , are well established, but institutional and personal identifiers are much newer, the need having emerged as more and more content is available electronically. 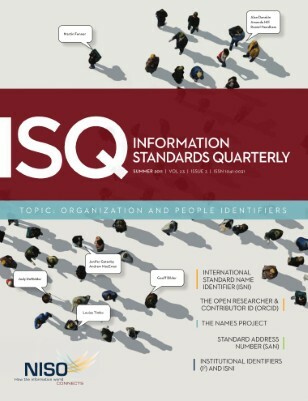 This issue of ISQ looks at existing and new institutional and people identifiers, how they have developed, and what new initiatives are underway in this area.